So many online casino platforms offer their users the ability to play games on their mobile devices. This is why we have decided to compare three casino apps and give you our recommendation. Keep reading to find out which online casino has our favourite mobile app along with other features! *Genting Casino*Significant T&Cs: Valid from 17/06/18 to 27/11/18. New players only (first deposit). 100% Deposit Match Bonus from £20 to £200: Min 50x wagering (% game weightings apply), play restrictions apply. Max bonus bet of £5, 15 days to accept & 30 days to complete wagering. Deposited funds locked to casino platform until wagering met. Your own deposited funds can be withdrawn at any time. Real money funds used first. Free Spins: Available after deposit bonus is redeemed/lost, credited as £2 bonus. Dream Catcher only. 1x wagering and Max bonus bet of £5 apply to winnings, 7 days to accept & 7 days to complete wagering, maximum withdrawal from winnings is £200. Bonus funds used first. See Full T&Cs. Key T&C: *Opt-in required, x1 per customer, new Vegas customers only. £10 buy-in required to receive £30 bonus, with 50x wagering on bonus. 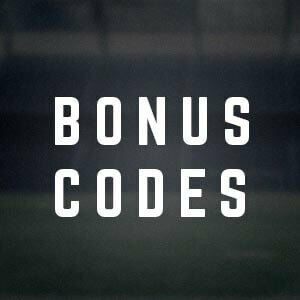 Bonus expires 7days from issue. Game, player, currency and country restrictions and terms apply. While choosing our recommended casino apps on the UK market, we have taken into consideration lots of different criteria. First of all, the quality of an app itself and then other features that an operator provides. The comparison of these recommended casino apps on the market can help you figure out which operator meets all of your needs. You should use this article as a tool to help you decide which online casino is the right for you. These recommendations are based on the personal opinions of our writers. The main reason why we chose Genting Casino to be the winner of our recommended casino apps comparison is the quality of their welcome bonus. This operator’s welcome bonus simply gives you, as a player, an opportunity to get the biggest reward among the other brands in this comparison. By using the Genting Casino welcome bonus*, you can get a 100% deposit match on your first deposit, between £20 and £200. You will also get 20 free spins which you can use on Dream Catcher. *Significant T&C: Valid from 17/06/18 to 27/11/18. New players only (first deposit). 100% Deposit Match Bonus from £20 to £200: Min 50x wagering (% game weightings apply), play restrictions apply. Max bonus bet of £5, 15 days to accept & 30 days to complete wagering. Deposited funds locked to casino platform until wagering met. Your own deposited funds can be withdrawn at any time. Real money funds used first. Free Spins: Available after deposit bonus is redeemed/lost, credited as £2 bonus. Dream Catcher only. 1x wagering and Max bonus bet of £5 apply to winnings, 7 days to accept & 7 days to complete wagering, maximum withdrawal from winnings is £200. Bonus funds used first. See Full T&C’s. If you want to find out more about the Genting Casino welcome bonus, you can visit our Genting Casino bonus code review. But these recommended casino apps have more than just a good welcome bonus. This is why we have taken into consideration other criteria as well. While we were choosing the recommended casino apps, another important criterion was a variety of games that a specific online casino app has. It was difficult to make the final decision in this part of the competition. Of the three casino apps we tested, we decided that Genting Casino’s mobile app has the widest selection of games for its mobile users. Though, it was extremely close. Genting Casino provides its players with one mobile app for both slots and table games, among other features. Other comparable casino apps, like Jackpotjoy, have separate apps for different games. Another reason why Genting Casino is the winner of this comparison is the variety of games on their mobile platform. There is also a Live Casino feature available for mobile users which is another plus for this operator. When it comes to the recommended casino apps comparison, one must take into consideration the user interface. That being said, we had another difficult choice to make. Our recommended casino apps have a very similar quality of the user interface. Finally, Genting Casino comes highly recommended in this aspect too, as it provides their players with the easiest app template. What makes this operator’s app a good casino app on the market is a very well organised design that shows relevant information to the user. In addition to that, players can access more options within the app itself by opening the sidebar menu. To help you understand this recommended casino apps review, we have created a short FAQ section about the mobile casino apps. Can I create an account from the casino app? Yes. Most casino apps let you create an account straight from the app on your device. The registration process is just as easy as doing it on a PC or a laptop computer. How do I download the iPhone/Android app? You can download an iPhone app by using Apple’s App Store on your iOS device. An Android app can be downloaded using the Google Play Store or sometimes straight from the operator’s website. Can I play live from the app? Some operators allow their users to play live games on the mobile app. To find out which operators in our recommended casino apps comparison have this feature, read this review from the beginning. 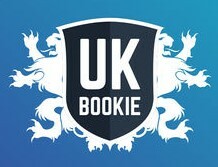 About us: Bonuscodebets provides some of the best betting information and reviews on the market. Be it bonus codes, betting tips, betting guides, or free bets, we cover it all for top brands such as Virgin Games, Genting Casino and JackpotJoy.